Sales is different in Japan. 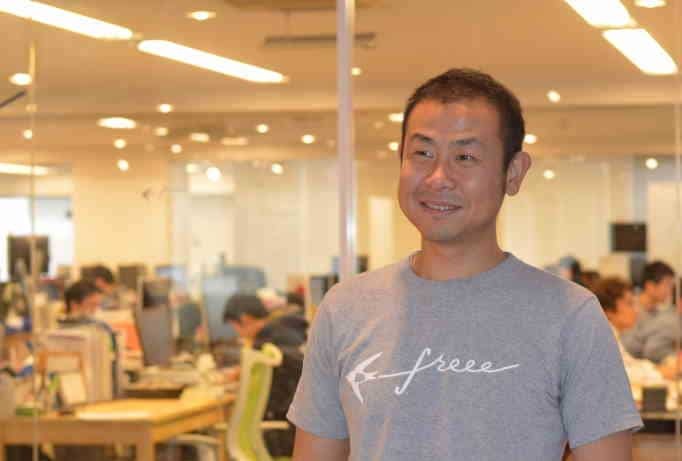 When Fastly entered the Japanese market, they quickly discovered that they had change their technology-driven bottom up sales approach to fit Japan’s top-down enterprise market. 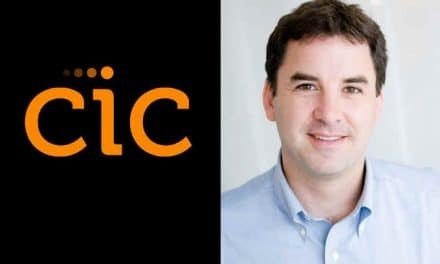 Today we sit down with Doug Chuchro, the Japan head of Fastly who explains how he had to chance both the sales strategy and the corporate culture from that of the US, which a highly knowledgeable user base who understood the workings of their technology as well as the sales team to Japan, where they frequently found themselves educating potential customers about what a content deliver network is and how they are used. We also explore the importance of partners in the Japanese market, and how those relationships can be very much a two-edged sword. It’s a fascinating conversation, and I think you’ll enjoy it. 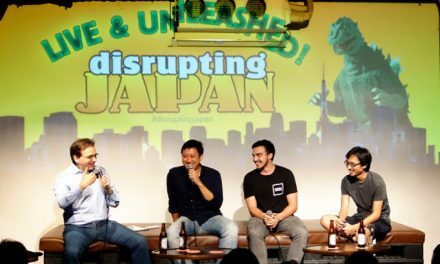 Welcome to Disrupting Japan, straight talk from the CEOs breaking into Japan. I’m Tim Romero and thanks for listening. Today we’re going to talk about content delivery networks or CDMs, those services that cache your website locally around the world so that users can access it extremely quickly. Or more accurately, we’re going to talk about how Fastly has managed to sell them in Japan. 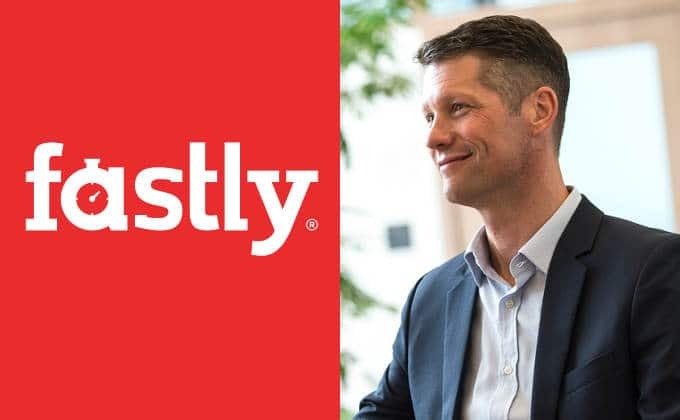 We sit down today with Doug Chuchro, the Japan head of Fastly to talk, not so much about the company, but how you sell innovative technology to large Japanese enterprises. We’ll explore why partners are all but essential in entering the Japanese market, but how those relationships can be very much a two-edged sword, you need to know what to expect going in and to try to manage the expectations of everyone involved. When you’re trying to convert a proven, bottom-up, technical sales process into one that is Japanese style top-down, and governed by long-term relationships and unseen alliances. Even when done perfectly, your Japanese partner won’t always do what you want, but sometimes they’ll do what you need. But, you know, Doug tells this story much better than I can, so let’s hear from our sponsors and get right to the interview. Tim: I’m sitting here with Doug Chuchro, the representative director of Fastly KK and thanks for sitting down with me. Tim: Before we get into all the details of how you brought the company into Japan and how you grew it here, I want to take a step back. Can you explain what Fastly does? Doug: Sure. We are a content delivery network. There are a number of content delivery networks out there. Many of them have been around for years and years. In fact, the space is close to 2 decades old. We are, essentially a content delivery network brings content closer to end users and increases the performance for those end users, and decreases the amount of workload that the customer’s origin has to do. So it essentially is a global caching network that the two major benefits are increasing the end user performance and decreasing the origin offload. Tim: So just every individual around the world would, instead of accessing the original source homepage, they would be accessing the cache that is closest to them and having the fastest experience possible. Doug: Exactly. For example, for a news media site, I go to the New York Times webpage every morning to see what’s going on. And rather than connecting to the New York Times origin infrastructure on the east coast of the United States, which would be a terrible experience for me here in Tokyo, I can actually connect with the local pop server of Fastly, here in Shinagawa, where most of that content is cached. I get a very quick response. That page loads almost instantly, and likewise, the operations team for New York Times in New York, they don’t even see a hit against their infrastructure. It essentially offloads that. Tim: Unless customers scale out much further and much faster as well. Tim: Okay, so this sounds almost by nature like a global business. Doug: It is. In fact, before we started our business in Japan, we had one PoP operating in Tokyo and several others in Asia. Doug: A Point of Presence. Tim: What was headquarters’ main motivation of setting up in Japan? Doug: There were a number of factors. Fastly was growing quickly in North America, our headquarters was in San Francisco, we had started an office in London. So we were beginning that process of growth in Europe, and like you mentioned, we had to build a global network to serve all of our audience. Global expansion from an infrastructure point of view is pretty easy because we’ve already built out quite a bit of our infrastructure globally just to serve our North American customers well. So going into a new market is just a matter of hiring the salespeople and standing up the business. It’s not a trivial thing at all, it’s not a trivial matter at all, but the infrastructure was largely there. Tim: Was there a particular trigger event? Were you getting either demand from your US customers to have more PoPs in Japan, or were you having Japanese customers who wanted to use your network globally that kind of pulled you into Japan, or was this just a natural progression? Tim: This happens a lot actually. I’m not sure why exactly, but there are so many, particularly from San Francisco, in the startup community, they are fascinated with Japan in general. Doug: It’s interesting. You come over here, it’s the third largest economy, you look at the CDM market space here and it’s fairly mature and continues to grow. So unlike setting up in either Singapore or Hong Kong—they’re global hubs, but their domestic markets are relatively small. The other one is China. China’s massive but it is a completely different ball of wax, one which we are still very cautious about, so Japan really made sense for us. Tim: So Fastly and CDM in general, it’s a niche market so was there a perception of the Fastly brand in the Japanese market before you came in? What was the competitive landscape like? Were there strong competitors in the market? Doug: Yes, there are very strong competitors in the market, and to answer your first question, the Fastly brand, we realized that it was next to unknown. There were pockets of knowledge about Fastly, but we hadn’t done anything to promote our brand here. So we knew that was going to be one of our major challenges. The dominant player in CDM globally and in Japan specifically is Akamai. They’re the 800-pound gorilla and they’ve kind of defined the space over the last 2 decades. We knew that we didn’t have much of a brand. We had to spend a lot of effort—and still need to spend a lot of effort—to build our brand here, and that’s a multi-pronged effort. One of the things that we thought would be really good for us would be to get somebody to vouch for us because having a local partner to vouch for you means quite a bit. Early on, our executive team made some connections with SoftBank. They have been, and continue to be, very generous with their time and their energy in promoting Fastly. So they are a reseller of Fastly today and have been for 18 months. And I would venture to say that if it weren’t for their generosity and their willingness to partner with a relatively unknown in Japan company, that we may not have even opened the office here. Tim: I want to talk about that relationship. But before we do that, your significant competition was foreign companies—are there domestic companies in this space as well? Doug: There are very few domestic CDMs. The big ones that we run into, as I said, are Akamai, the other one is AWS has their own CDM offering. And AWS, I think, is remarkable with the work that they’ve done here in Japan, a foreign company coming into Japan and establishing. Themselves the way that they have, I think is quite commendable. Tim: They’ve been a steamroller in this market. Doug: Yeah and something that I inspire to, to be honest with you. Those are our two major competitors, or our other competitors, but none of them really domestic. Tim: That’s a really interesting situation to be in. Doug: It is. But if we go back to the notion of a content delivery network really has to be a global network to be an effective thing, there really hasn’t been a Japanese domestic CDN that has been able to build out. Tim: It’s very interesting in a go-to-market perspective, in that you are free to make partnerships, and you are not entrenched in decades-old alliances in the market. Doug: Very much so, yeah. Tim: So let’s talk about the partnerships that you did make. You worked very closely with SoftBank. This wasn’t a joint venture. Doug: It wasn’t. That was discussed a little bit but our executive team felt very strongly that we needed to maintain a certain amount of independence. So that was pretty clear that was going to be our path. Our KK is a wholly owned subsidiary of the parent company. Tim: Originally, was SoftBank an exclusive reseller? Were they just a preferred partner? What was the structure you set up? Doug: So, they are our strategic reselling partner. It is not an exclusive relationship, and in fact, our first few deals here in Japan were direct deals, very small customers that luckily we still have today, that we just needed to get on the map. Relationships that I had made socially or just randomly, they got to be our first customers and they were in fact direct customers—not through our partners. Tim: Let’s dig into that. That is something I definitely wanted to talk about. Partnerships are a great way to both enter the Japanese market and to grow the company once you’re here. They’re a real force multiplier. So when you were first coming into the market and you had a SoftBank partnership, and SoftBank is hugely influential in this market, how much did you think you would be able to sell directly through SoftBank, and how much did you expect you would have to be doing on your own? How much of the heavy lifting did you think the partners would be doing? Doug: I think the initial notion was that we could just set up a business here to be exclusively through SoftBank, even though the contract wasn’t exclusive. There was enough business there to just sell through that channel and everyone would be happy with our progress. Tim: So they would just be bringing you the customers and you would be doing your thing. Doug: We would be serving them and that would be enough. The thing is, what we’ve come to learn, come to appreciate, is SoftBank is very much a relationship company. They have amazing relationships with enterprise customers. They are not deeply in tune with more of the DevOps community, and that is really kind of Fastly’s origin culture, is that we kind of grew up serving the DevOps community, more faster, more agile, selling our technology and selling it benefits itself. And not really focusing on a true enterprise sale, but somebody who really can get their hands on it, can start to use it. Doug: And a lot of customers, the line between engineer and boss and CTO is pretty thin. There’s not a lot of layers there for a lot of our customers. Tim: Especially when you’re servicing startups that have a very flat hierarchy. Doug: Yeah. One of the biggest customers that we have is Twitter and the CTO of Twitter probably knows as much about Fastly as a lot of people who work for Fastly. So these companies that we have traditionally built our business with back in the States, they understand our technology from top to bottom. They understand why we’re better and why we’re good for them. When we look at potential enterprise customers here in Japan, a lot of those, once you get past the engineer level, those conversations have to quickly change into less technical, more business focused. It’s much different. There’s a lot of relationship. Tim: Right, that’s the word that we keep coming back to here, relationships. So when you say SoftBank was doing relationship sales and they have these strong relationships, they were approaching CIOs, CTOs at large corporations, and was the problem that these people didn’t understand the technology? It was too new? It was too different? What was happening? Doug: I think the problem—and it’s not necessarily a problem, it’s just different. It’s a situation where SoftBank has these big accounts with these big enterprises and they’re selling a portfolio of different products to these customers. And the SoftBank sales rep can’t know everything about every product, and be able to differentiate and articulate why your product specifically is better for their customer. Tim: I see. So you’re used to doing highly technical sales and in Japan, you had a partner that just realistically could not do that level of technical selling for you. Doug: No and it’s not realistic, as you say, not realistic to expect them to do that. So we have to go through a number of steps just to get to speak to the right person at the end customer who really gets it. So just finding that right person and convincing the partner rep to kind of let the guard down, open up the doors. Because they’re very protective of the relationships, as they should be. They have nurtured these relationships over time and they don’t want you coming in and upsetting their apple cart. And one product coming or going doesn’t mean a lot to them. It’s the relationship that matters. Tim: Okay. So the initial plan was having SoftBank do the heavy lifting for sales and a lot of the marketing, and you would do the fulfillment, you would support the customers. So the initial team was, I imagine, heavily support and engineering based. Doug: Yeah. 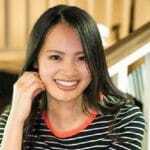 In fact, my first hire was a sales engineer, not really a salesperson because I needed somebody who could speak in Japanese to a counterpart at the end customer to talk about our technology and have our partner talk about our business benefits. The other thing, as we were building the team we recognized, A. we need Japanese faces. So I’m the expat here and that’s really all we need is one expat. We need Japanese people to put in front of Japanese customers to convince them that we are committed and dedicated to Japan. Tim: Were your Japanese staff going on sales calls with SoftBank or was it strictly kind of back end and after sales? Doug: They were going on sales calls and continue to go on sales calls with SoftBank and with our other partners. So we hired two sales engineers ultimately. 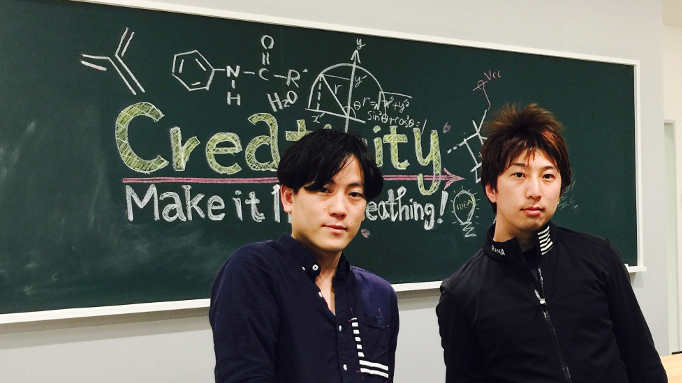 We hired an account exec, two customer support engineers, both Japanese-speaking. So everybody is Japanese speaking, the major exception of me. Just by luck, by happy luck, we happened to come across a couple of engineers here in Japan who are really good. One of them has since transferred to the San Francisco office, but we’ve got another one starting in the beginning of January, we’ve got another one down in Kyoto area. Tim: That’s great when you’ve got the team that is integrated globally and it prevents Japan from becoming kind of this black box. I want to talk about that later for sure, but let’s get back to the kind of situation you were in with the sales strategy. You realized that selling through the partner, the enterprise sales approach, wasn’t working as you’d hoped. How did you adapt? You mentioned you had to make a few sales on your own directly. Doug: It wasn’t that it wasn’t working. It was that I knew we needed to have a few quick wins. We needed to have a few Japanese logos on our board to get the attention of SoftBank reps, to say, “This can be done and I can do it.” So that was really the first time we did some direct sales and they were relatively small deals. In kind of our coming out party with SoftBank, we wanted to show people at SoftBank that we are a viable product here in Japan. People can and will buy it. Tim: And were your initial Japanese deals similar to the deals you were doing in the States, startup companies, stuff like that? Doug: Very much so, where the sales cycle is pretty quick, where the buyers are quite technical. Yeah, quick to move, I would say, and not really enterprise customers. Tim: All right. So how have you squared this circle now? Has SoftBank, and other partners you have, have they been able to step up and do the more technical selling, or have you taken a greater role and done more direct selling? Doug: A little bit of both. We have worked a lot with our partners to help educate the sales team but we still need to go on sales calls with these partners and I don’t envision that changing for some time. And that’s fine. If we treat them as a really good lead generation for us, that’s fantastic. They can get, and have gotten, us into enterprises and even some government customers that we have now, that we would have never gotten, had we been here for a decade. But at the same time, we continue to move forward with our direct sales, those quickly moving, more agile companies that are based on Roppongi and Shibuya. So we’ve made some progress there too. Tim: That makes sense. So you have the partners handling a lot of the top-down large enterprise sales, and you’re doing this same type of bottom-up sales within a startup community in Japan that you are in the US and globally. Doug: That’s right. And the other thing that I should mentions is that when we came into Japan, we had already established a technology partner with Google, Google cloud platform. When we came to Japan, they were still pretty small here in Japan and are still trying to play catch up to a certain extent. But they were very generous with making connections to, not only some of their end customers, but also to some of the smaller systems integrators that specialize in integrating Google cloud platform products. Tim: It’s quite interesting. The attitude in the United States towards partnerships is highly cynical. But it seems in Japan it’s almost essential that you do partner up with someone. In general, the subsidiaries here, a much larger of the total revenues come through partners than is the case globally. Doug: Yes. And I kind of feel like we needed partnerships on multiple levels, so we needed our big brother, SoftBank, to kind of carry us into some of these customers and vouch for us to a certain extent. Not only sell for us, but vouch for us, which I think is very important because we had no reputation here, we had no brand here, and we needed to show our commitment to Japan on a number of different levels, one of them being, if SoftBank vouches for you, that’s pretty good. Doug: Yeah, there’s something there. And at the same time, our relationship with GCP and also kind of the GCP ecosystem with some of the partners, the smaller systems integrators that they’ve introduced us to, gets us in on a different level, gets us in at the guys who are actually turning the screws. Tim: I’ve found both from my own companies and the companies I brought into Japan, a lot of partners, the first couple of sales, you do have to go out and make yourself, and sometimes even bring the sale to the partner, and then let them execute on it and kind of prime the pump, if you will. Doug: Absolutely. And in fact, we have done exactly that with at least one of our customers. So you have to kind of show them this will work and this is beneficial for everybody. It’s good for your customer, it’s good for you. Tim: Changing gears for a minute, Fastly is a highly technical product. I think the value proposition would be almost identical around the world. Japanese customers are notoriously demanding. Were there any changes you had to make in the product or in the positioning of the product to suit the Japanese market? Doug: Yeah. Not so much the product, but as you say, the positioning of the product. When I talked about a CDM, what a CDM is, we increase the user performance and we reduce the origin offload. That is kind of the core tenant of what a CDN is. The thing about it in Japan is you have a very dense population that is very well connected. So if you have a data center here in Japan, or here in Tokyo, your performance all over Japan is pretty darn good. So if you’re going to sell on performance along, you’re going to have a pretty hard time doing it. Tim: Right. People just don’t see the need for it. Doug: Right. However, if you are the BBC and you’ve got readers all over the globe, you are going to have a much better appreciation for the performance benefit that the CDM offers you. So we had to tailor our message back away from the performance benefit aspect of it, focus on not only the origin offload perspective, but also talk about things like security and reliability because those are valued aspects that a Japanese company looks at. They look at security, they’re very security conscious, very risk conscious. Tim: Much more so than in the United States. Doug: I think to a large extent, yeah. They really focus on risk assessment and mitigation. So what we’ve done is trying to position ourselves as kind of a risk mitigator. We are a shock absorber. For example, if you get attacked by a DDoS event, we will absorb that shock and protect your business. We offer things at the edge that help filter traffic, so those bad guys can never really get to your origin. We act as a shock absorber, so if you have a massive marketing event that draws a great deal of users to your website, your website will continue to stay up during those flash events. That notion of reliability and security, along with origin offload, resonate very well here. Tim: I can imagine. It’s always fascinating how a slight change in positioning, with the exact same core product, can have such a different effect in different markets. Doug: Yeah, it’s absolutely true. Tim: Are the majority of your customers in Japan trying to reach a global audience or are they mostly reaching a domestic audience, but they’re very concerned with the security aspects and the reliability aspects? Doug: A fair number of our customers have domestic traffic only. They are Japanese websites written in Japanese, and it’s the third largest economy in the world, so there is a big market for—if we’re talking about e-commerce alone, there is a massive market here. Tim: The volume these sites are doing is tremendous. Doug: It’s unbelievable, it really is. For the size of the population and how condensed the population is, it’s really amazing how much traffic they generate. But to the other point, there are a number of customers that we do have who are distributing their content globally, specifically in the gaming space. There the performance aspect comes into play a little more, but they’re looking for something that is reliable and efficient. Tim: You mentioned that some of your US customers know as much about some of your technology as some of your employees do. Doug: In fact, some of our best employees actually came from our customers, much to the chagrin of some of those customers. Tim: Coming into Japan, I’m assuming this wasn’t the case, did you find you had to do a lot more customer education in Japan than you did in the US? Doug: Interestingly, there are a fair number of Japanese, the dead ops community here is very adamant about trying new technology. They don’t care where it’s from if it’s new and it’s interesting. And if it’s compelling, they will cross that language barrier to learn about it. So there is a small but influential group of people here who follow us and have helped kind of evangelize at a very guerrilla level. Tim: So you had a lot of engineering thought leaders talking about you and advocating you from the beginning? Doug: Yeah, and I have to credit some of the engineers, the Japanese engineers that we hired, are some of those leaders in fact. So they wrote blogs about us, even before they started working for us, they wrote blogs about us and kind of promoted us at a very grassroots level. But there are still a number of situations where we have to go with either a partner or another customer, and really educate them from what is a CDM, how does the internet really work, and kind of educate them. Tim: Everyone always says that the sales cycles take longer in Japan, which is true, but it sounds like in your case, it would take longer than usual because of the education component as well. Doug: Yeah, and that’s something that we were anticipating. We kind of knew from day one that the sales cycle would take longer and it takes time for everyone to kind of digest, and especially when we maybe haven’t done the best job of making all of our documentation available in Japanese. Tim: For a technology company, that’s a huge investment. Tim: This is very interesting. Let’s talk a bit about localization. So the product itself is not in Japanese. Do you have plans to localizing it in the near future, or are you happy with the way things are? Doug: I’m happy because I’m not a Japanese engineer. Tim: A better question, are your customers happy with the way things are? Doug: I think they are accepting of the way it is. What they want to see is a supporting documentation that is in Japanese, that will guide them through the product that’s in English. Tim: So engineers are used to working with English language interfaces. They’re used to reading the latest release information in English, because that’s the way it always comes out, but for a company like Fastly, that’s coming into Japan, how do you prioritize? There’s no way you can possibly localize everything. Some of the new documentation, it’s moving so fast and being updated continuously, as you mentioned, it’s very hard to put in process to keep that up to date. So what did you find were the most essential things you had to localize both to make the sale and to support the customers and get them using Fastly effectively? Doug: I think we kind of followed the sales cycle from beginning to end and looked at the documentation at every step of the way. There is kind of market entry documentation, like who is Fastly, what are you, what are you doing. Tim: So your sales documentation, I imagine, was not so much localized. You must have created a lot of it from scratch because of the new position you were taking. Doug: A lot of it was created from scratch, a lot of it was repurposed from existing documentation. For example, we had documentation on our partnership with Google, essentially marketing documentation, one-pagers that described our relationship with Google. So we had that translated. Messaging was pretty much the same, but then again, there were other components, specifically with some of our partners that needed to be kind of rethought of from scratch. And all of our partners have been influential in helping develop that material. Tim: And on the user side, was the most important documentation things like tutorials, or was it user manual, or technical specifications? What was the most critical thing to bring into Japanese? Doug: We had our docs.Fastly.com, which is basically like our product documentation. If you are a user of Fastly, and you want to know how to achieve a specific objection, you should reference the documentation. We have identified a couple of dozen articles in that documentation that we thought were critical, that we would have translated. So we worked with our translation team to tweak our documentation site so that of those articles that were available in both English and Japanese, you could click a little toggle at the top of the page. If you were on the English page, you click the toggle, it would take you to the Japanese page and vice versa. Tim: Were the critical documents, were they high level tutorials or quick start guides, or detail specs, or a mix of all of them? Doug: Yeah, and kind of targeting that dev ops community. I certainly wouldn’t send one of our partners’ corporate customers to that doc site, but if somebody says, “I’m really interested in learning how do di this and this with your product. Can you do that?” and one of our sales engineers will say, “Yeah, we can. In fact, here’s the article on how to do that.” That’s kind of helped us promote ourselves and also get engineers more comfortable with our technology. Tim: It sounds like you adapted your partner strategy quickly, both the partner side of the sales and your bottom-up direct sales seem to be going pretty well now. So looking back on the last, little more than a year-and-a-half now, what would you do differently if you had to do it again? Doug: I think one of the mistakes that I made is I didn’t really have an appreciation for the power of the reseller and partner network here. It’s a huge ecosystem, so we would go even into direct customers where we would say we’re doing this—you exchange meishi and there was maybe two people from the customer and then you meet another guy who has a different meishi. Tim: And he would be their system integrator? Doug: He would be their system integrator, or it wasn’t clear what he was doing there. So one of the things that we learned very quickly is that we needed to tread quite lightly and make sure that we’re not only providing value to the customer, but we’re not undercutting this other person in the room. Because if he is a trusted partner and you are undercutting his value or reducing his revenue in any way, then he is going to cut you off. It’s done; it’s over. It’s very interesting how a lot of Japanese companies rely on these system integrators for a lot of things, including advice and consent. Tim: An awful lot of Japanese companies, even technology companies, have surprisingly little in house technology expertise. Tim: It’s a very shallow bench. So what would you have done differently if you had understood the importance of the system integrator and sort of the mind capture that they have over their client? Doug: The best thing to do is to educate the system integrator first and be educated, understand what they’re bringing to the table, and be clear on what your objective is and try not to kind of offend their objective. Tim: Right. Well it keeps coming back to the importance of relationships, doesn’t it? Tim: Speaking of relationships, before, we were talking about the team on the ground here in Japan and how they were working with the San Francisco team. One of the biggest challenges a lot of foreign companies face coming into Japan is way too often, the Japanese subsidiary becomes kind of a black box. It sounds like Fastly has avoided that problem. Was this something you consciously took steps to integrate the teams or did you just manage to attract the right people and the teams naturally integrated with the global team? Doug: I would say that we are still kind of working through that. I think we would benefit a lot from more interaction with our counterparts in San Francisco, more physical interaction of them coming here more often, us going there more often. We don’t see them living and breathing nearly as much. Tim: About how often do you do it? Doug: My target is to go back at least once a quarter and sometimes that doesn’t happen. The team goes back maybe once a year. The good thing is that Japan is a favorite destination for a lot of the people in San Francisco. Tim: Everyone wants to come here. Doug: Everybody wants to come here. Tim: They’re just looking for an excuse. Doug: Much to the chagrin of the people who manage the travel budget. So it’s good that we have historically had a number of visits but I feel like we need to get our people here in Japan back to kind of feel our culture. Because we have a very specific culture in our San Francisco office. And it’s a great place to work and a great place to be and I want that culture to kind of seep into the people here. And it has, to a large extent. Tim: What are the biggest differences in corporate culture between headquarters and Japan right now? Doug: First of all, diversity. We have got some great diversity. We’ve got men and women of all races working at our corporate headquarters at San Francisco, and that’s awesome. I wish we had some more diversity here but to a certain extent, I realize that I have to hire Japanese people. That’s who I have. But we don’t have any women working for us. And I think that’s an untapped opportunity for us. I think one of the things that we need to evolve in our Japanese way of thinking is I think a lot of times we listen to our customer’s question and we answer the question without challenging the premise. Tim: I think also another part of it is that, from a Japanese perspective, to ask why, the person they’re asking might not know the answer, and he might end up making that person look bad in front of his peers, which is a terrible thing and will kill a sale. I think that’s probably another part of it here. Tim: That’s always in the proverbial phase 2 of the project. Doug: Exactly, right. There’s going to be version to. Tim: Phase 2 is when we do it right. Tim: That’s a great way to build a team. It’s really ideal. On a personal level, bringing a country into Japan is chaotic and requires everyone that does it to do a whole bunch of things they’ve never had to do before or think about before. Doug: You get to learn a lot. Tim: You’re forced to learn a lot. For you personally, what was the most challenging or difficult thing that you had to do in the last 18 months? Doug: I would say probably one of the most challenging things that I’ve had to do is to kind of let go, to trust my people to—first of all, I don’t speak Japanese, I barely understand Japanese, so I’ve had to rely on the instincts of some of my people. They understand what the vision is, what we want to do, what we hope to achieve, and generally how we want to do it, but as we kind of grow and get bigger, I’ve had to kind of let go and let them do it the Japanese way, and succeed in the Japanese way. For example, our sales team went through this sales training. It’s a very North American sales training, so we all went through it and I went through it myself and I thought this is really interesting and it seems like it would be very effective, but I know that there are ways that this is not going to work in Japan. And I don’t know what those ways are. I don’t know exactly what is not going to work but I know that some of these things, some of these questions are going to be too intrusive. We can’t ask these questions. Some of these methods aren’t going to be quite right. We can’t do it quite that way. Tim: So you think not speaking the language, so not being able to really stay on top of the communication, does that make it easier to delegate and trust the team or harder to delegate and trust the team? Doug: It’s a hump that I had to get over. It was uncomfortable at first but my team has earned my respect, so I’m comfortable with them, to a certain extent, making decisions. There are some decisions that they know they need to talk to me about. I’ve kind of gotten over that hump. It’s incredibly embarrassing at times to not speak the language, but at the same time, there are times when you can play the ignorant gaijin card and get away with it. There are certain things that I can get away with that none of my Japanese staff would ever be able to get away with. Tim: I imagine life got a lot less stressful once you sort of accepted that I can’t understand everything that’s going on; I’m just going to trust them. Doug: It did. And that came over time. It wasn’t overnight. Part of it was some of the results that my team was producing, specifically with some of the direct deals that they were doing. Tim: Well, listen, before we wrap up, I really want to ask you, what is the best advice that you could give to someone else that’s in your situation? Someone else that is bringing in a highly technical company into Japan. Doug: Bringing a company into Japan is an exercise in patience. And not only do you have to have that patience, but you need to set that expectation with all of your stakeholders, with the executives, and whomever else is a stakeholder in your organization. You need to make sure that they understand it’s going to take time, it’s going to take money, it’s going to take effort, and it’s not going to happen overnight, especially with the explosive growth that we’ve seen with a lot of tech companies in San Francisco, or the bay area, anywhere in the state. Doug: Everything. In fact, for our first year, we didn’t even have a revenue target. We weren’t focused on revenue. We were focused on building our brand and getting logos, getting customers. Our customer count was more important to us than revenue so we’re kind of just making that turn. We have just made that turn recently where we still need to build our customer base, but we need to focus more on revenue now. I think the whole team was expecting that to come a little bit later but revenue started to come much earlier than anyone expected because I think we were realistic about this is going to take some time and we need to focus on building our brand. And I fully expected it to take a little bit longer than it has. But I have to say the Fastly executive team has been very patient with us and we’re kind of treated as a special child because revenue in North America and Europe is growing. We’re still a rounding error. We cause a big stink because we’re different than everybody else. Everything is weird and different. Tim: And the special attention isn’t justified by revenues yet. Doug: Yeah and the care and feeding that we need—we’re the tiny little baby who is crying all the time and we’re not producing any revenue. Tim: So people need to go in with that expectation? Doug: I think so. And be pleasantly surprised if it comes early rather than be disappointed if you’re not getting it right off the bat. Tim: Excellent. Well, listen Doug, thanks so much for sitting down with me. One of the most interesting parts of Doug’s and Fastly’s story is how they had to change their positioning when coming into Japan. The product itself was identical of course but the positioning and value proposition had to be changed. While the US customers were primarily concerned with speed and technical capabilities, the Japanese buyers considered improved security and reliability to be the most important factors. And, you know, I’ve seen this preference for reliability and stability play out in Japan time after time. 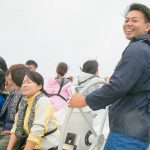 We talked a lot about the importance of partners and resellers, and it’s not just in terms of making the sale, which is how most people think about them, but in terms of how long-term relationships really guide the decision making process in Japan. Doug’s experience with prospects bringing their current technology vendors into the sales meetings is pretty typical. The integrators have tremendous power in Japan and regardless of your product’s advantages, it’s highly unlikely that you’ll make a sale if the prospect system integrator doesn’t get behind it. After all, sales in Japan is a far more collaborative and far less competitive endeavor than it is in the United States. If you have ever tried to sell new technology in Japan, Doug and I would love to hear from you. So come by DisruptingJapan.com/show070 and let’s talk about it. When you drop by, you’ll find all the links and sites that Doug and I talked about and much, much more in the resources section of the post. And I know you’ve been meaning to do this for a while now, but if you get the chance, please leave an honest review on iTunes. It’s really the best way you can support the show and help us get the word out. And most of all, thanks for listening, and thank you for letting people interested in Japan know about the show. Damn…my mistake – to miss some podcasts you’ve published and here we are, I have so much to read and listen to! This was a very interesting episode; somewhat of a convergence between the foreign and local here in Japan. I’ll give everything here one more go for a better understanding of everything Doug mentioned. I like his mentioning of the lack of revenue target, focusing on the seed that will grow eventually. Judging from my limited observations on some entrepreneurs, impulsiveness and expectations of lighting fast profits are very prevalent. Building a solid network and a remarkable brand are sometimes not fleshed out properly in pursuit of faster gains. Cheers, Tim, looking forward to where 2017 takes DisruptingJapan…and the people/concepts you share with us. Thanks for listening. Yes. Now that the podcast is weekly, the episodes are coming fast. It can be hard to keep up with it myself sometimes. 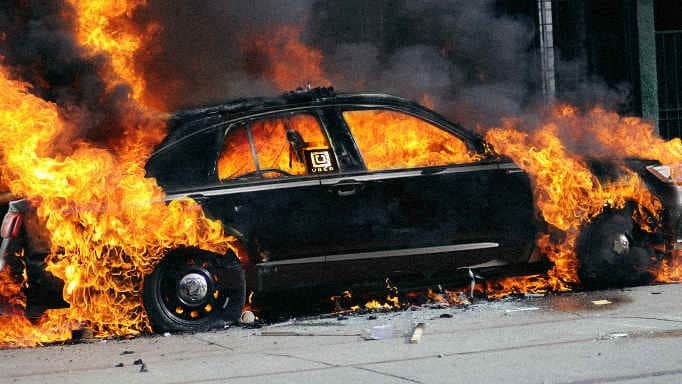 Setting a revenue target too early can backfire in both ways. If it’s way too low you end up with a demoralized team, and if it’s way too high, you end up having to pay out way too much commission or to renegotiate commissions. It’s best to gather data in the first couple of years.